The next time you’re whining about the traffic on your daily commute, just be thankful you don’t have to worry about cars, trucks andaircraft. Ya don't see that everyday in the real world. 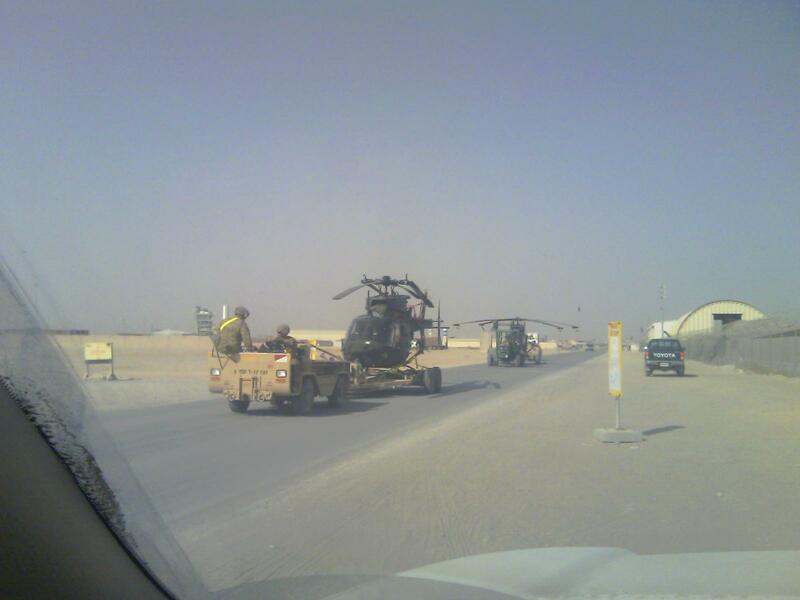 This entry was posted in KAF Life and tagged Kandahar; helicopter; traffic by Kafoodie. Bookmark the permalink. That’s definitely bigger than a bus or a transport!